I love getting surprise freebies from companies. 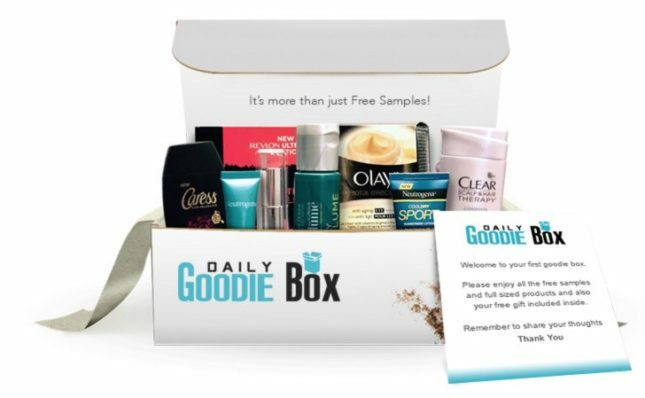 Here is a chance for you and me to score a FREE Daily Goodie Box! This box is full of fun samples and products. The only thing you need to do is share your thoughts on the products after you try them out. Well, what are you waiting for? Go ahead and sign up! Check your email for confirmation, click the confirmation link and then fill out the ‘profile’ and ‘about you’ sections. What a great way to try a bunch of products completely free! Shipping is free and no credit card is required. Thanks! I just joined them!